A long, beautiful, red skirt caught Jeni Caruana’s eye from a multitude of people walking down Republic Street. Less than an hour later she met Jason Lu and the girl in the red skirt – Christine Cutajar – while they were discussing an exhibition. Jason Lu asked Jeni Caruana if she too wanted to take part in this exhibition. When things are presented to you in a way that feels right, I go with the flow. This was the inception of The Art of 4 Elements – a multimedia project where 3 artists chose and got inspired by poems written by Natasa Pantovic. They transformed the inspiration from the poetry into their own art. Their aim was to follow their hearts, explore their capabilities and reach their highest emotional, mental and spiritual potential through art and also inspire other artists through this exhibition. Moreover, they have created an online book containing over a hundred of Natasa Pantovic’s poems where each of the poems has a corresponding drawing, painting or photograph. Everyone is invited to take part in this online book by including their own art. 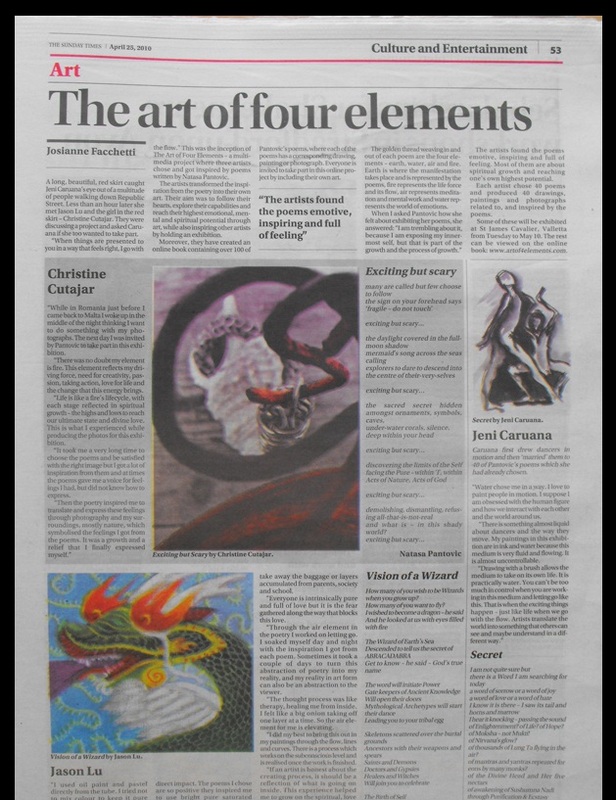 The golden thread weaving in and out of each poem are the 4 elements – earth, water, air and fire. Earth represents the poems, fire represents the life force, air represents meditation and mental work and water represents the flow of emotions and letting go. When I asked Natasa Pantovic how she felt about exhibiting her poems and exposing her inner thoughts and feelings to the public she answered – I am trembling about it, because I will be judged by people, but that is part of the growth and the process of growth. The artists found the poems emotive, inspiring and full of feeling. Most of them are about spiritual growth and positivity. Jeni first drew dancers in motion and then ‘married’ them to 40 of Natasa’s poems which she had already chosen. In Rumania just before I came back to Malta I woke up in the middle of the night thinking I want to do something with my photographs. The next day I was invited by Natasa to take part in this exhibition. When you feel and really want something, it happens. After helping Father George build a school in a remote area of Ethiopia, I entered the most amazing world of parenting adopting two angels from Ethiopia as a single mum. My kids are actively teaching me how to be a more loving, mindful and conscious parent. Ema and Andrej love and train basketball, play music, act within a Music Theater Group and were Chess Champions of Malta. Believing that we are all innately divine the Alchemy of Love Mindfulness Training Series of 9 books explores the alchemy of the soul: the preparation, transformation and initiation process as an underlining method of personal development and growth. The Series is a spiritual not religious endeavor that uses life-coaching tools from various philosophers, gurus and sages of our past and present. 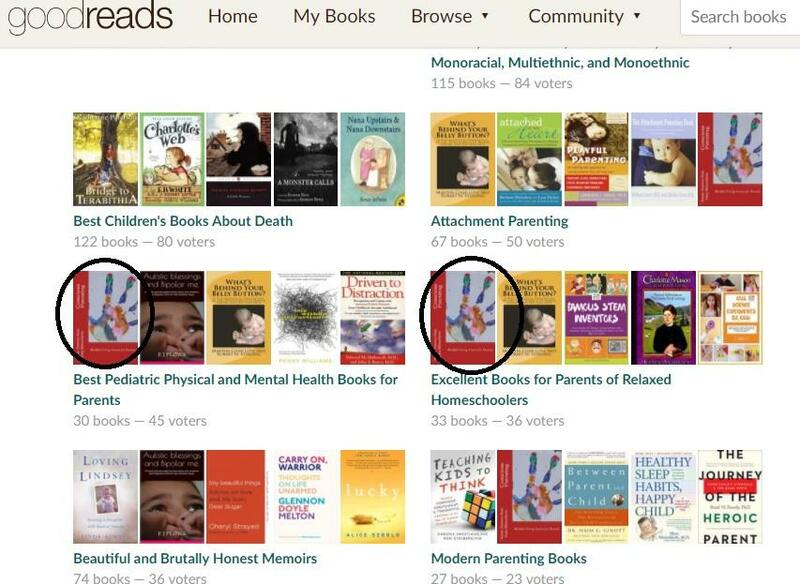 The Series of many genres, includes; poetry, personal development, and historical fiction. working with Creative Intelligence: Improving our capacity for logic, emotional knowledge and problem solving. While sitting and awaiting Nuit at the dawn of this wintry day, mid March, a ginger cat jumped onto my lap purring for attention. A lucky one really, doesn’t need to worry about what to eat and how. We on the other hand spend endless hours thinking and talking about healthy food, conscious diets, the alternatives to junk we continuously chose to digest. Q. Can we do it and how? A. 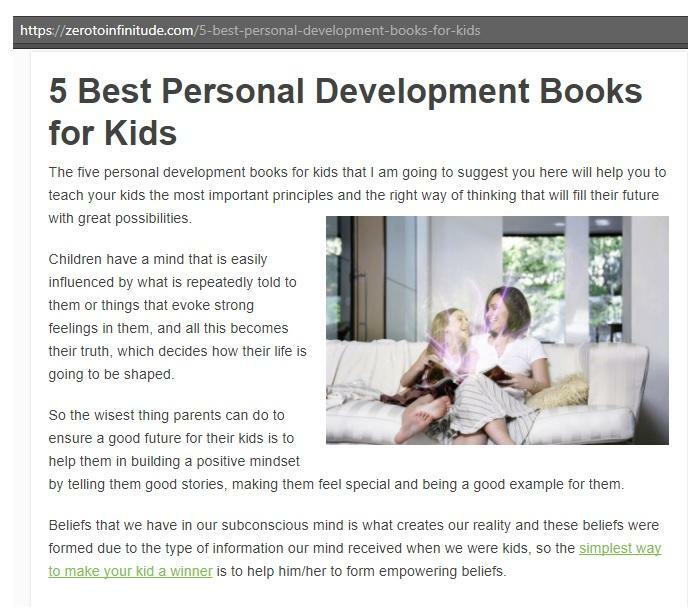 'It is possible to get it RIGHT if we stick to the very basic principle of Self-Development and Spiritual Growth: encouraging within our children a strong capacity for feeling, rich soul experiences, with a capacity for strong mental growth and a potential for strong willpower.' But we can not do it alone. I keep saying to my kids: Please help me become a better and more loving parent! Even within the ancient marketing, it was clearly understood that if a book is written by God, it stands a much better chance to win huge audience. 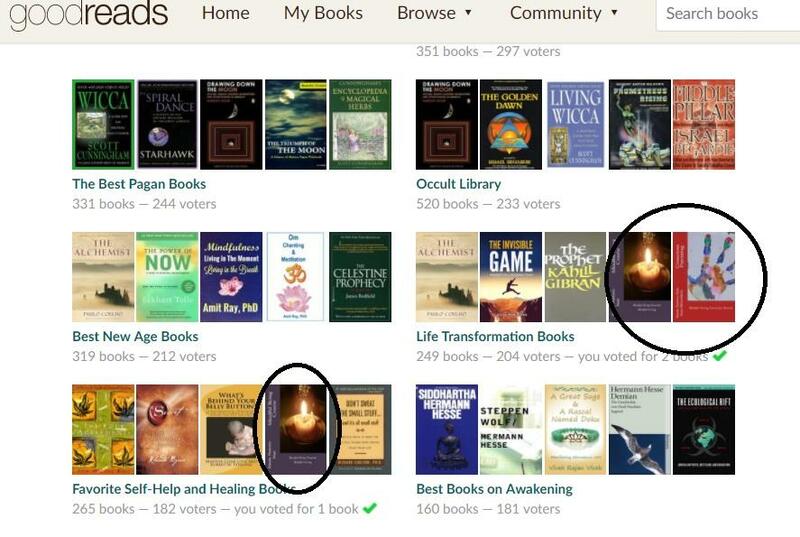 Paradoxically, if you are a believer, all the books are by force written by God or influenced by His or Her Majesty, cause God as an Omni-potent entity must surely encompass the world of writing, yet a claim that the words are directly channeled by Holy Spirit (a messenger of God) is quite a popular one. Yet the competition within the world of Holy Spirit followers is quite tough, surely such experiences must be unique and sacred, so the other people’s assertion of the same, was at times guarded by deathly sword. Yoga Science and Mindful Being Course. Mindful Being Course is the Alchemy of Love Mindfulness Training. This Net TV Interview with the author Nataša Pantović Nuit is about Yoga as Science or Mysticism and mindfulness training that has 100s of spiritual and personal development tools.